A homemade gift shows your mom that you think she is worth the time and effort it takes to craft a birthday present. Even inexperienced crafters can create a simple and thoughtful homemade gift for mom's birthday. Choose a project that is both practical and sentimental to delight mom on her special day. If you know your way around the kitchen, an edible gift is a thoughtful and delicious option for a homemade gift for mom's birthday. 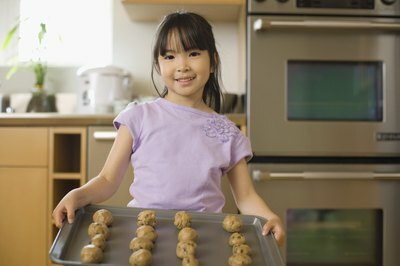 If your mom has a sweet tooth, make her a personalized cake or cookie to enjoy after her birthday dinner. Frost a large sheet cake and pipe a written list of the top 10 reasons you love your mom for a creative decoration option. Use royal icing to frost simple sugar cookies with your mom's name, date of birth or age; wrap them in colored cellophane for a pretty presentation. For something more long lasting, create your own infused cooking oils. Fill several mason jars with olive oil and several sprigs of fresh herbs, minced garlic or seasonings; transfer the oil to decorative glass oil bottles hand painted with her name and a loving birthday message. 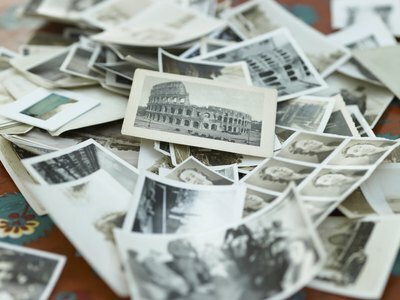 Photo gifts are sentimental and nostalgic options for gifts for mom on her birthday. Create a photo collage that features images from mom's childhood and recent pictures of her own children; coat the final piece in decoupage or shellac and place it in a frame for protection. For even more personalization, create or decorate your own frames. Recycle an older picture frame with a coat of fresh paint and embellishments like dried flowers, rhinestones or beads. Create a useful photo gift with some laminate sheets and old photographs. Line several photographs onto a piece of sturdy construction paper or cloth. Cover both sides of the craft with adhesive laminate sheets, or run the entire piece through a laminating machine to create personalized and functional table mats for use at mom's birthday dinner. Fabric gifts typically require more time and skill than other types of crafts for mom's birthday, but the end result is a useful and beautiful item that demonstrates your appreciation for your mom's hard work. If you have any knitting or crocheting ability, consider creating a potholder or decorative towel for mom's kitchen. 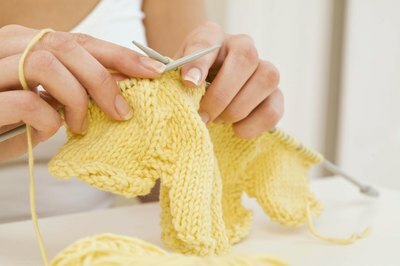 Stitch the piece in her favorite color or, if you have considerable skill, knit her name into the pattern. A small patchwork quilt made from fabrics of her old clothes or your old baby blanket is also a thoughtful option. If you feel timid about tackling a fabric craft, consider altering an existing piece to personalize it for mom. For example, embroider her existing pillowcases with her name and a loving message. 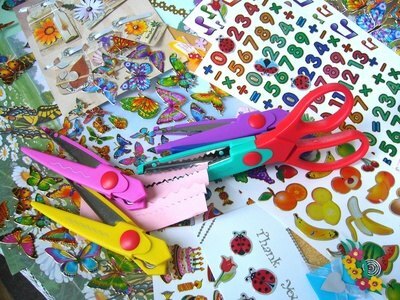 You may also opt to create a simple fabric bookmark; simply cut a piece of scrap fabric to size and embellish it with embroidery, buttons, ribbons or even iron-on decals.